Broadchurch: ITV’s Sneaky Drama Comes to the U.S.
Here’s a good interview, courtesy of NPR, with the dreamy David Tennant about Broadchurch, the eight-episode whodunnit that hits the U.S. shores this week on BBCAmerica. David Tennant and Olivia Colman, center, lead the ensemble cast in this terrific British thriller. Fourth from left, with the dog, is the delicious Pauline Quirke, one of my favorite actors from the U.K. Americans may not know her as well as Tennant, but she’s a powerhouse over there. Colman has a very funny turn in the new film “I’ll Give It a Year.” | Image” ITV. 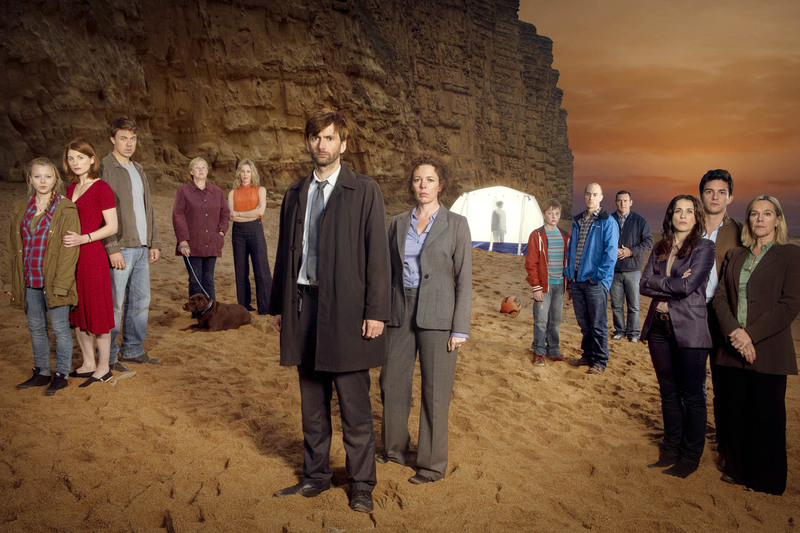 Like a lot of British procedurals seen in the States, Broadchurch was originally shown on ITV, like Downton Abbey and other shows shown on PBS on this side of the pond. So many people think these are all BBC productions — and I suppose the name of the network over here doesn’t help — but this is an ITV production. Broadchurch became a national event in the U.K. earlier this year and it really keeps you thinking. As Tennant points out in the NPR interview, the format — one murder over eight episodes — allows for more plot and character development than you find in the traditional one-hour stories told on U.S. procedurals. This entry was posted in Actors, British Soaps, Video and tagged BBC America, Broadchurch, David Tennant, ITV, Olivia Colman, Pauline Quirke, thriller, whodunnit. Bookmark the permalink.